Mystery Trivia is the place for all mysteriously interesting that which do not fit anywhere else. Topics range from the historical to the mystical and everything in between. Why is it called a murder of crows ? Is it possible that our justice system was inspired by crow courts? 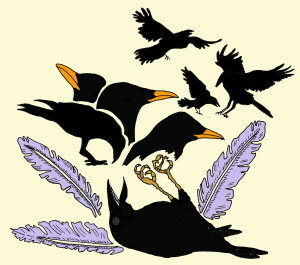 In the book Marvels and Mysteries of Instinct or Curiosities of Animal Life from 1862, author G. Garratt shares his research on crow communities and their laws and penalties. If some rule is violated an assembly gathers. Vast numbers of the blackbirds will come from far and wide. “The young rooks, or those of one year old only, often violate the rules of the rookery by pilfering twigs and other materials from the nests of the older ones, but the theft is always discovered, and never suffered to go unpunished. The rogues do not allow themselves to be caught in actual fact, for they seem to watch their opportunity, and commit their robbery only when both owners are absent. 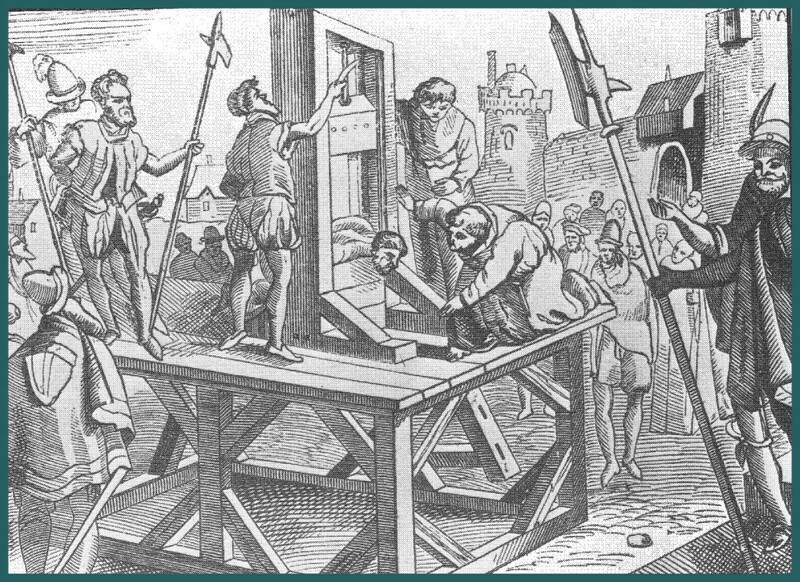 In the late 1700s, Dr Ignace Guillotin thought all criminals should be equal in death. It was not the case at the time. Noblemen were quickly sent to their graves with the swift swipe of a sword. The sword was then broken. 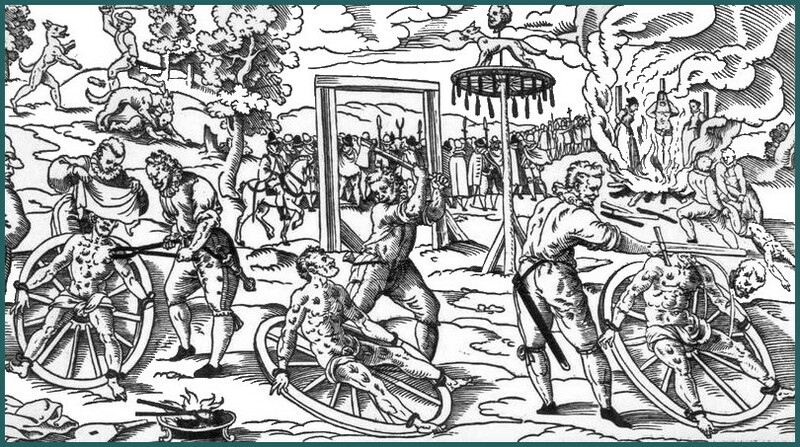 Common felons were put on a wheel and their bones were broken until they died; a slow tortuous affair. It was too expensive to kill them all with swords. Plus the executioner admitted that he couldn’t stand the sight of all that blood. 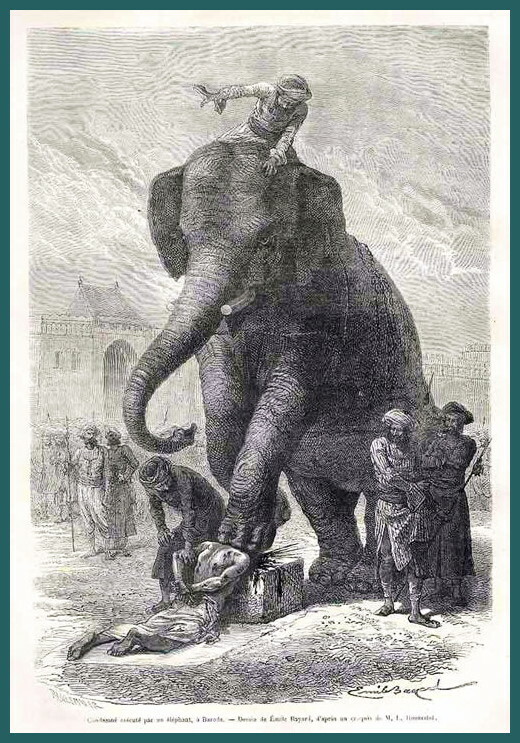 But for the most unusual method of capital punishment we have the little known (at least to us) execution by elephant. This woodcut was first published in 1868 in the magazine Le Tour De Monde.